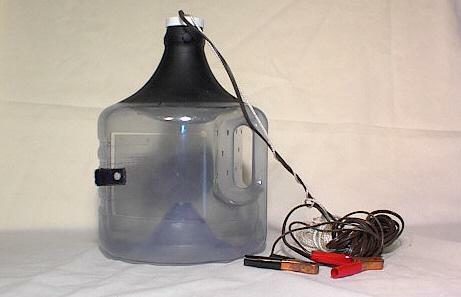 The Beacon Minnow Trap and Lure The "Beacon" is a minnow trap, fish attractor, light, etc. 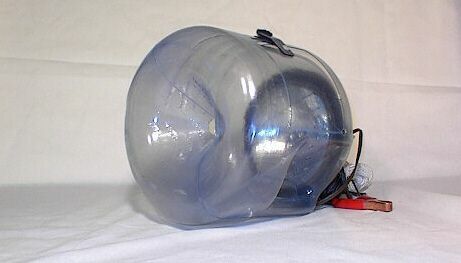 It is a two-gallon plastic jug that has a funnel molded into the bottom of it, a door on the side that latches with velcro, and a 12-volt light in the top. Attached cables are to hook to your boat battery for the light. It is made by Catchum, probably in Arkansas. There is no indication on the box or paperwork of where it is made, except the mention of Arkansas on the box.